The village of Cassel in France’s Nord department region with its cobbled streets, quiet atmosphere and traditional Flemish buildings feels like a romantic relic of a bygone era. 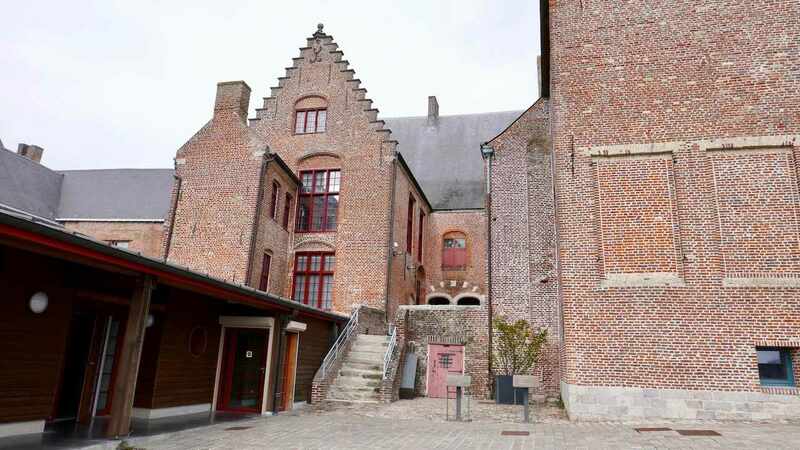 Though it was originally created by the Romans on top of a prominent hill (Mont Cassel) overlooking the lush rolling pastures of French Flanders, the rulers of Flanders picked up the pieces after the demise of the Roman Empire and the Flemish influence is still evident. Though many a holiday-maker has driven or worse – bypassed altogether – Cassel on their way to Lille or Paris, we offer two fantastic reasons to stop and stare. Musée de Flandre (Flanders Museum) is located in a stunning 17th century Flemish building on the main street of Cassel, with foundations dating back to the medieval period. You will find some of the finest Flemish artworks and paintings in the world here. Currently they are hosting a special exhibition of Fêtes et Kermesses au temps des Brueghel until July 14th (€6 adult entry). Pieter Bruegel the Elder (also spelt “Brueghel”) is renowned for his Dutch and Flemish Renaissance paintings. Many of them feature imaginative, joyful and sometimes barmy renditions of parties and celebrations. Sadly his own works are not here but you can see them in The Kunsthistorisches Museum in Vienna. However, the good news is that works based on his paintings are here in abundance. Eleven room showcase these and as well as artworks created by his two sons, Jan I and Pieter II. Most of the paintings depict the poorest of society, and they provide an important social commentary on life in the Renaissance period. 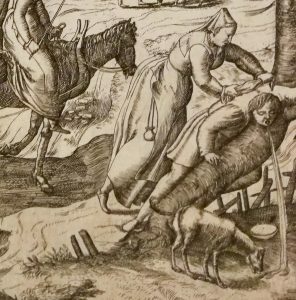 More than 100 paintings and engravings depict fairs, weddings and other community events that took place in 16th and 17th centuries, some with incredibly funny and strange depictions. Almost every painting contains a stupidly-dressed “fool”, who is a visual representation of excess and naughtiness. Men projectile vomit after glugging too much mead, couples embrace passionately behind trees and brawlers throw punches with gay abandon. To top the entertainment off are the amusing holographic jesters that pop-up while stories of peasant parties during the Baroque period unfold. Amid all this are numerous depictions of brides: sobbing brides, bored brides and drunken brides all make an appearance. There is also an interesting selection of sartorial hat choices including a beehive, a crown made of vegetables and a hat that looks like a butter churner. 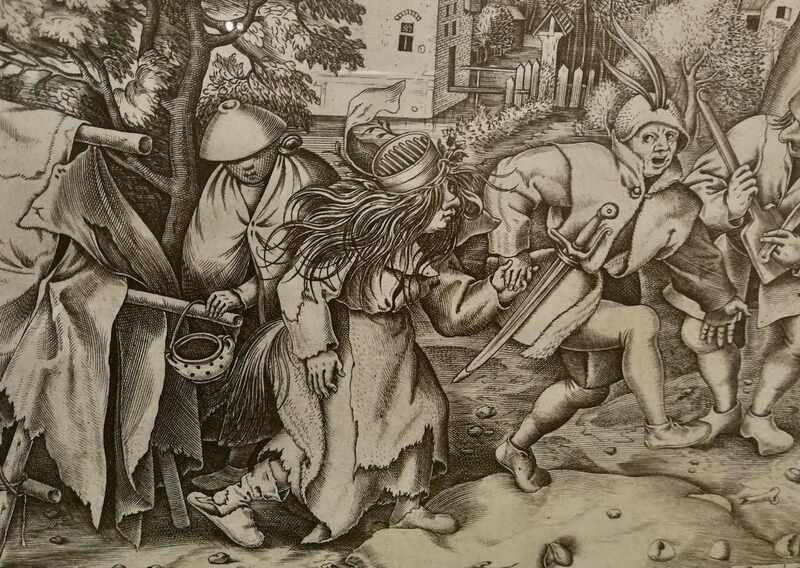 One inebriated bride even wears a colander on her head as her terrified husband looks on with pure terror. 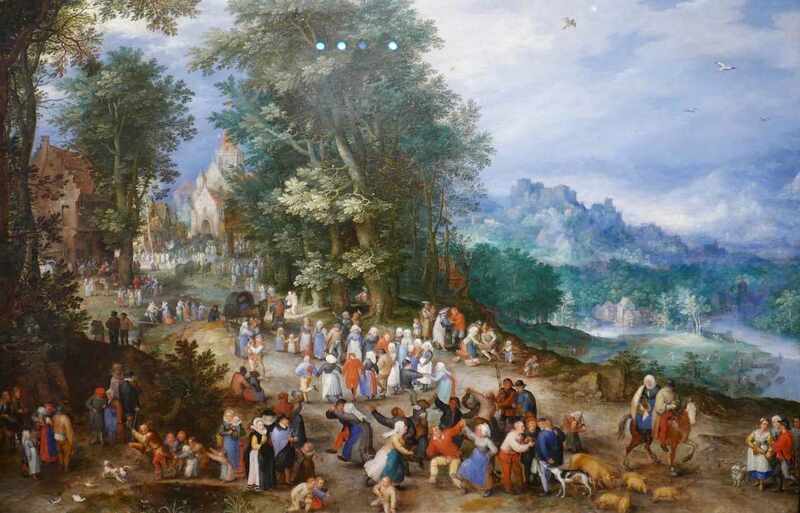 My personal favourite was ”Village festival” by Jan I Bruegel, which forms part of Queen Elizabeth II’s Royal Collection. The painting contains an incredible level of detail and expression, portraying dozens of “Lilliputian” characters dancing in celebration. 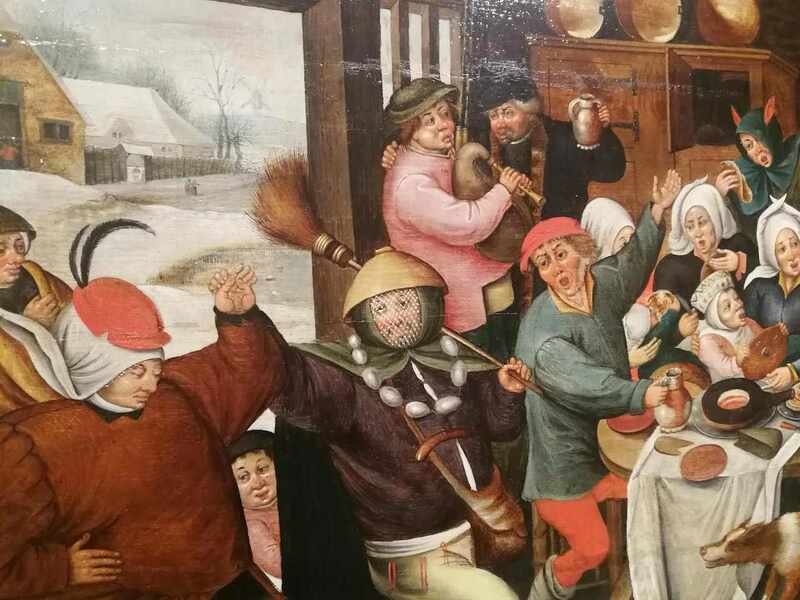 Whether or not you are a Bruegel fan, the exhibition is brilliantly curated and great fun. The exhibition is family friendly and we saw several groups of children who genuinely seemed to be enjoying themselves. 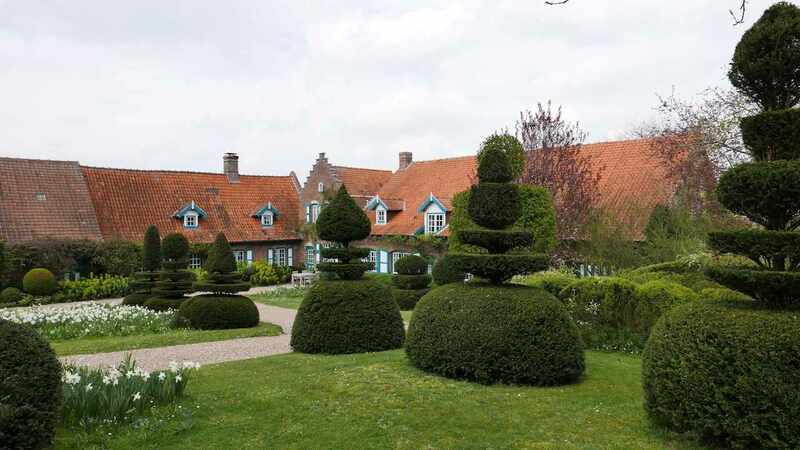 The Jardins du Mont des Récollets (a 5-minute drive from Musée de Flandre) are part of an old, converted farm and will open to the public on 10 April 2019 (€6 adult entry). As with any typical Flemish farm, you enter the gardens though the orchard, and first impressions are of a small, lovingly tended garden. However, as you weave through various hedges, nooks and corridors a magnificent garden with more and 20 themed “rooms” appears. 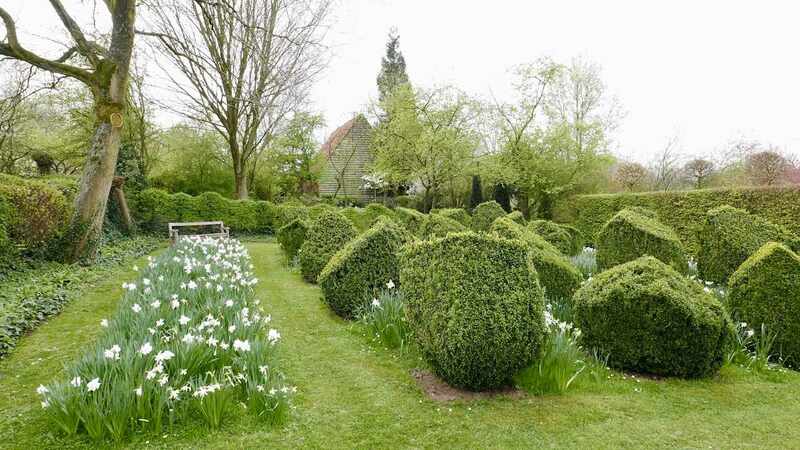 These include the “embroidery room” with hedges designed to look like a knitting pattern and the “Berlingots room” with hedges groomed to look like sweets. The farmhouse is almost as idyllic as the gardens, and overlooks the stunning Flemish countryside. It has since been converted into a restaurant filled with old pots and pans and hand-made wooden tables and chairs. This is a perfect spot for a traditional Flemish lunch or a cup of tea before you move on. You can take your car on Eurotunnel Le Shuttle from Folkestone to Calais for as little as £24 each way (based on a day trip). The journey time can be as little as 55 minutes. Once you arrive at Calais, the journey to Cassel takes approximately one and a half hours.